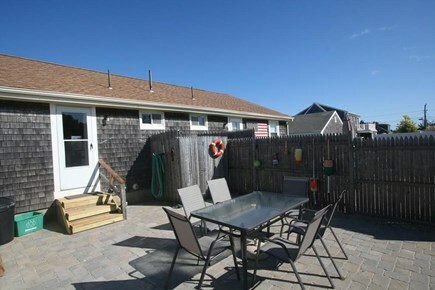 Your relaxing Cape Cod vacation awaits! 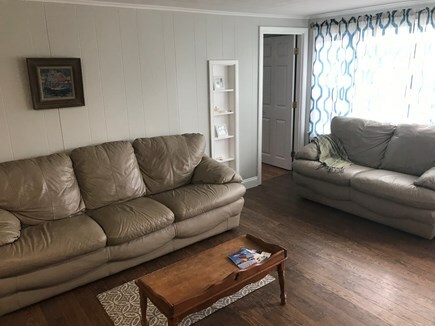 Rent just one side for your family or both sides for you and your friends/family! 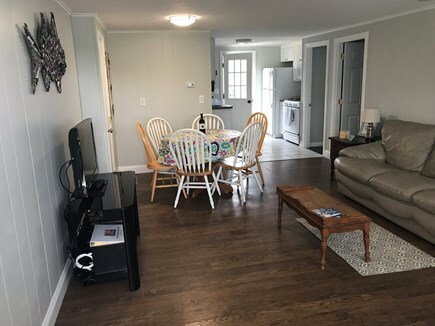 This updated 3 bedroom, 1 bath unit in a duplex style 2-family home allows you to walk to ocean beaches. It's set in an excellent, quiet, family neighborhood and sleeps a maximum of 6 guests. 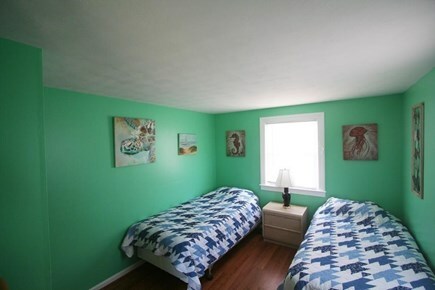 Full size bed located in one bedroom. 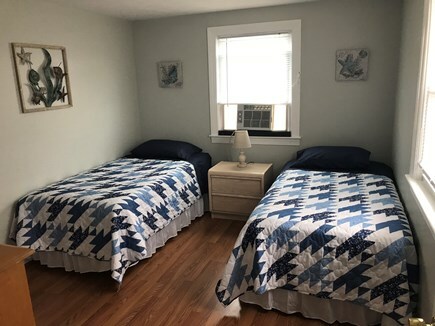 Two twin beds are in the second bedroom, and two twin beds are in the third bedroom. 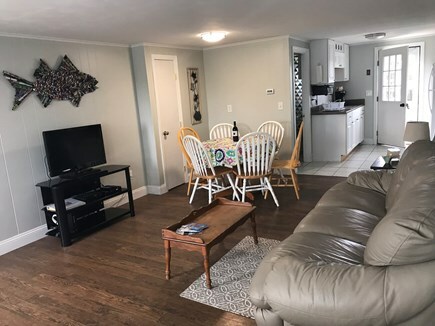 Flat screen TV, DVD player, high speed wireless internet, three air conditioning units, full bathroom with combination tub/shower, patio, BBQ grill, and an outside shower with hot and cold running water. 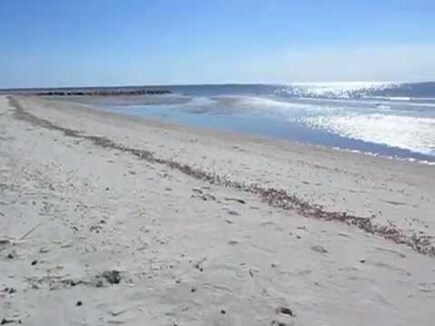 Only 11 homes away from Nantucket Sound! Additional pricing info: We Now Accept credit cards!, State and local taxes of 12.45% will apply. 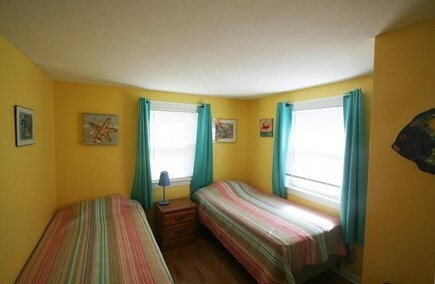 All Bedrooms, living room, bathroom, kitchen/dining area are situated on first floor. We are both licensed Real Estate Professionals in Massachusetts with approximately 20 years experience helping both buyers and sellers with their real estate investments. 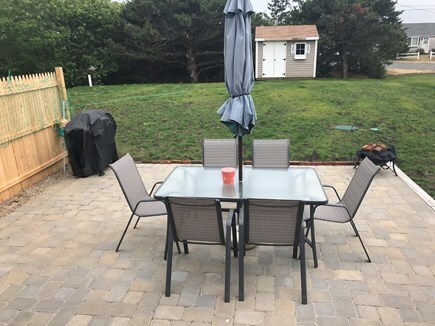 John and Sandy Pedro purchased this home in January 2018. 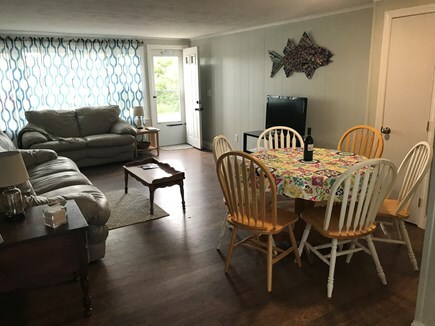 Now we are both very excited in helping vacationers create lasting memories with their families by offering lodging opportunities on Cape Cod. 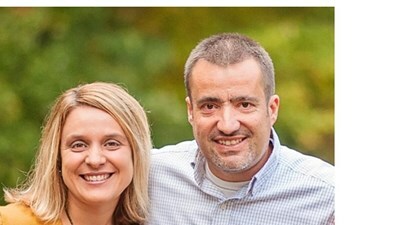 Why John and Sandy Pedro chose West Dennis, Massachusetts. 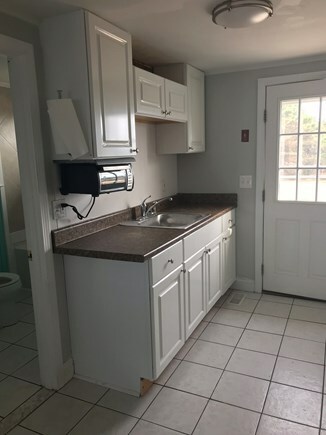 Simple 3 bedroom units reminiscent of Old Cape Cod. 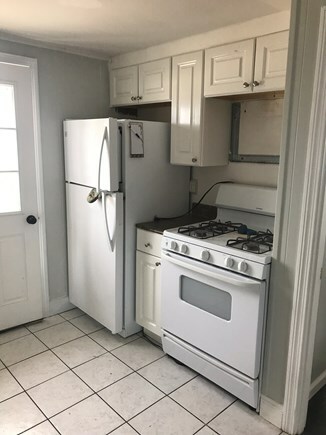 Excellent location in quiet family setting near ocean beaches. Located near stores, restaurants and other attractions. 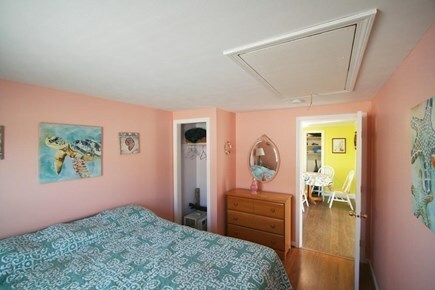 Within just a short walk (within .5 mile) to beach on Nantucket Sound! 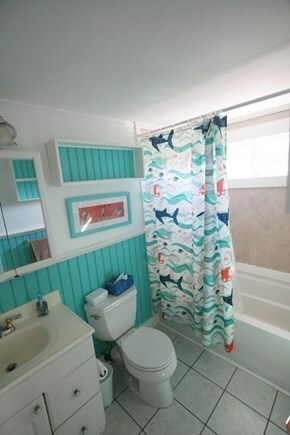 Very clean and offers a Relaxing atmosphere. Home thoroughly cleaned before new guests arrive. Towels and bed linens provided. Home and furnishings well maintained. Source: Please visit http://www.town.dennis.ma.us for more information.